Ivonne Gracia Murillo exibited an interactive installation entitled 'eDNA', which proposes a conceptual collaboration between man's digital media and the natural environment. The basis finds itself in the idea of using DNA to store encoded images, something which many researchers are currently investigating. However rather than using DNA as a data storage tool to retrieve the exact decoded information, eDNA explores the potentiality of collaborating with nature by embracing mutations that would occur naturally over serveral generations of reproduction, thereby eliminating our predictive abilities and our control with regards to anticipated output. The resulting information relating to quantity, tone and position of pixels would become natural matter, through which images would evolve. 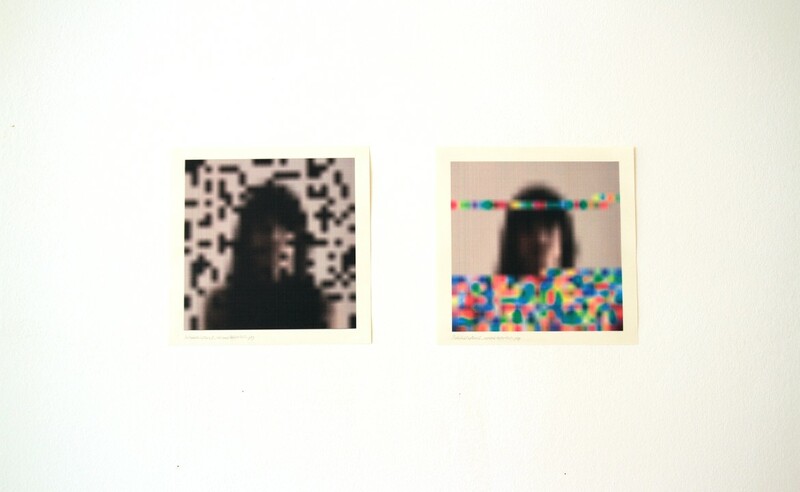 In this interactive installation, viewers were invited to take photos of themselves and see the end result in the form of mutated photographs.